They boggle the mind, don't they? You'll never catch me smorking. Happy Weekend!! Me either! Have a great weekend. I love how he looks like he's contemplating! LOL That would be great! Very funny, my smiles for you today! Have a great day, Leovi! That cat was amazing. Love the police reports. That cat is hilarious. Got real attitude too! Those are all hilarious! 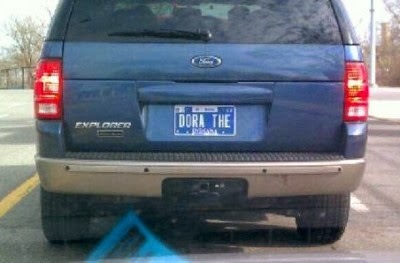 I need a license plate like that! I always love your Friday Funnies. 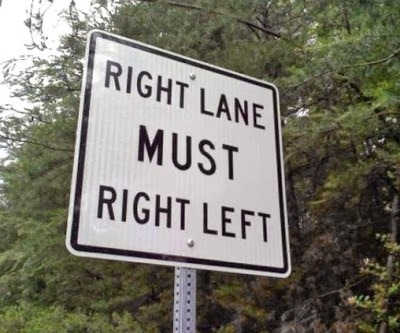 Love the Right Left in the Right Lane which is probably the reason for a lot of the accidents here! :) Great videos too! Have A Great Weekend! 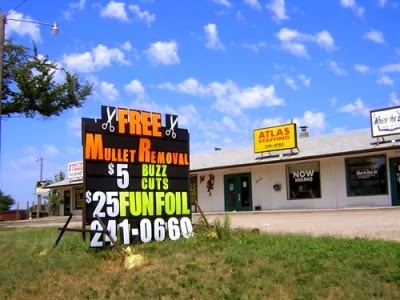 Love the licence plate and free mullet removal. Have a great weekend! I hope you have a good one, too! I liked that license plate from Virignia! Happy weekend Dana; I hope it is a restful one! Wishing the same for your, friend! Great funnies, as always. Have a restful weekend. Smorking...is that what the Swedish chef does?? The kitty in trailer is probably saying, "Done and done." Cute! The signs: hilarious. Hope you and your family are healthy. Sorry to hear you took a fall. Thanks, Sandra. My son and I are doing much better now. My husband has surgery this week, though. Glad you enjoyed the funnies! These are great. 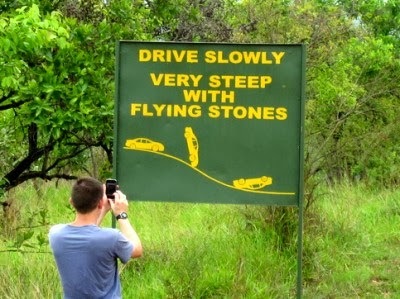 I always love the road signs. Hope you're having a great weekend! We've been doing a lot of work around the house, but it's been a good weekend. I hope yours is, too! 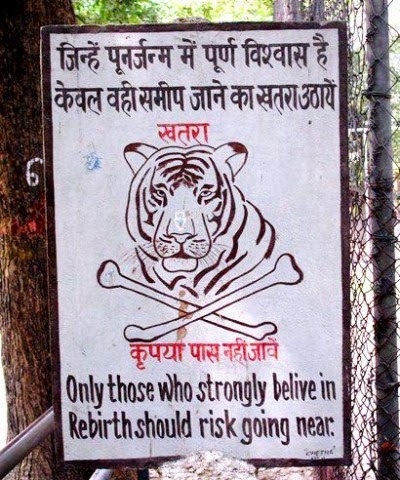 Some great signs and such there. 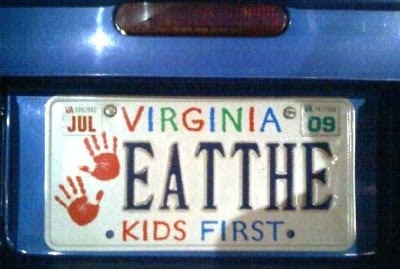 I especially like the Eat the Kids First one. They seem like my kind of peeps. By the by, just came across your blog via the A to Z Challenge, and wanted to say hiya. Hi there. ☺ Thanks for stopping by!